The Dolly S dolly provides smooth and stable dolly action for all 100 and 150mm tripods (except Hot-Pod, DA-100/150 Short, OB-2000/M and Cine 2000 tripods). Features fast-action foot-operated brakes, adjustable cable guards and is fitted with track locks to provide tricycle steering. 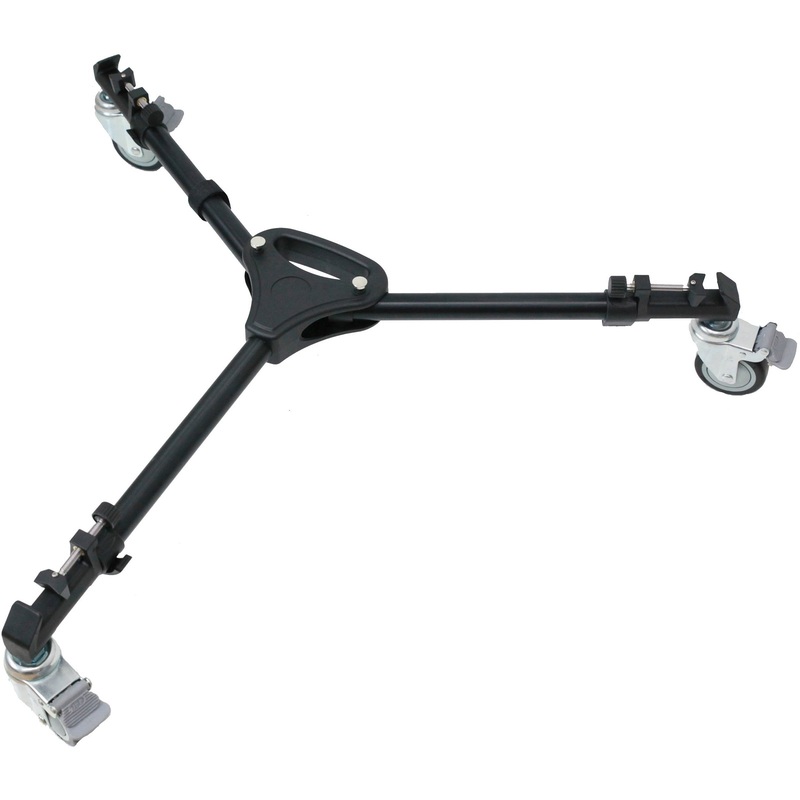 A collapsed length of only 26.0″ enhances portability, while the ergonomically designed carry handle is molded into the dolly’s reinforced center bracket for optimum carriage strength.